This post concludes and wraps up our series on the handling of complex fraud charges in Little Rock, Arkansas. We felt it necessary to write on this topic as many individuals do not initially realize the gravity of such cases. The goal of our last several posts has been to provide information which will allow people to know what it is they should expect from the process and to also assist in one making an informed decision when they select a criminal defense attorney. If you have been charged then contact our office today to speak with a lawyer. These are important issues to understand in the context of a case involving complex allegations. First, such charges often involve evidence seized from a computer, a smartphone, or one’s private paper records. In most instances law enforcement will have been required to obtain a warrant in order to gain such information. 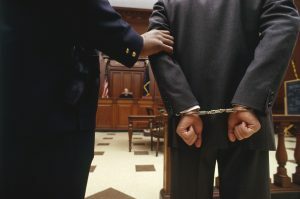 If evidence was collected in violation of a defendant’s Fourth or Fifth Amendment rights then it may be possible to have the items excluded from Court proceedings. Second, expert witnesses will be required in cases involving extensive financial laundering, cyber hacking, or other such conduct. It is important that one’s counsel be experienced in dealing with expert witnesses. Finally, knowing what to expect from the trial process can help to ensure that things go as smoothly as possible. One point we have stressed through each of these articles is the need to speak with an attorney who has handled large-scale cases in the past. Cases involving complicated charges can go on for weeks, if not months. It is important that your lawyer be able to present a case in a manner which will make sense for the jury in spite of the amount of information being presented. Our Little Rock defense firm is experienced in handling such matters and our counsel have over twenty-five years of combined legal experience. Contact us today to schedule an initial consultation. We also handle matters in Fayetteville, Fort Smith, Springdale, Jonesboro, North Little Rock, Conway, Rogers, Pine Bluff and throughout the rest of the state.